Over the summer months, students who are not exposed to math lose an average of 2.6 months of learning due to a lack of exposure and practice. 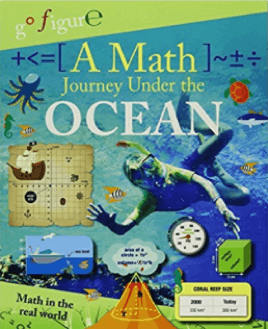 Turning Math into Storybooks: Children are less likely to experience a reading slide because they are encouraged and likely to continue reading books throughout the summer. A similar approach can be taken with math. 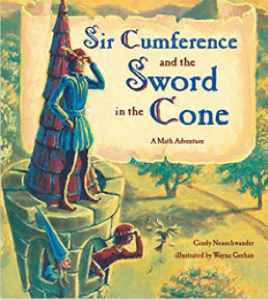 When math is turned into a story with a beginning, middle, and end, children will place it in context and assign more meaning to the conceptual information being presented. 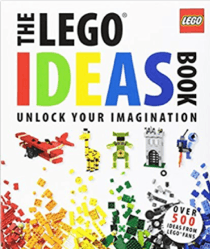 In sections below we have provided a variety of books that appeal to different interests and encourage students to continue mathematical thinking throughout the summer months. 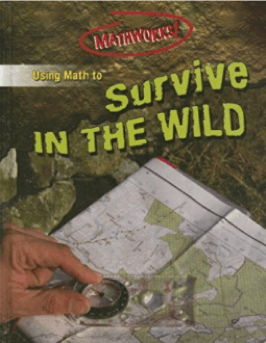 Fun Real-World Math Activities: Summertime is perfect for helping your children see how math can relate to their life and surroundings outside of school. 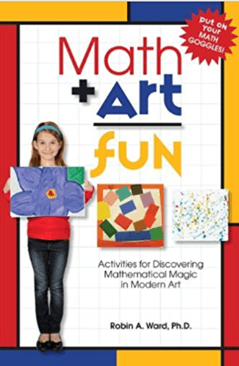 Involving them in activities that bring out the math in their environment help place challenging abstract concepts into concrete and familiar contexts. This can make math much more manageable and relatable, preparing them for a more successful year of math learning in September. FogStone Isle – The Online Virtual Game Based on Mathematical Thinking and Learning: During their down-time, children can play a video game that will actually help them maintain the math skills learned throughout the year and learn new ones in preparation for the following year. 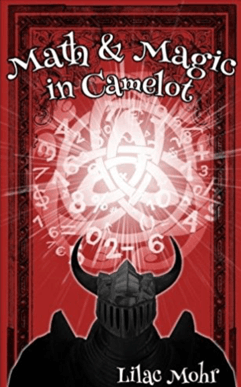 Studies conducted during the past two years show that students who played FogStone Isle regularly (2x per week) showed significant gains in their math textbook exam scores as well as summative assessment problems. Students wanting to get a head-start for 5th grade showed an average 31% improvement on their fractions test scores after playing the game during a summer program. A great way to ensure that math activities are not seen as “homework” is to make children think that it was their own idea to engage in the math activity. If the activity is interesting enough, they will come. They will come today, they will come tomorrow, and they will happily come the day after tomorrow. Intrinsic motivation is an internal drive to want to complete an activity because it is fun and interesting and inherently satisfying. This phenomenon works on an individual’s natural curiosity and interest, and research shows that it can significantly increase performance and creativity and optimize learning. 1. 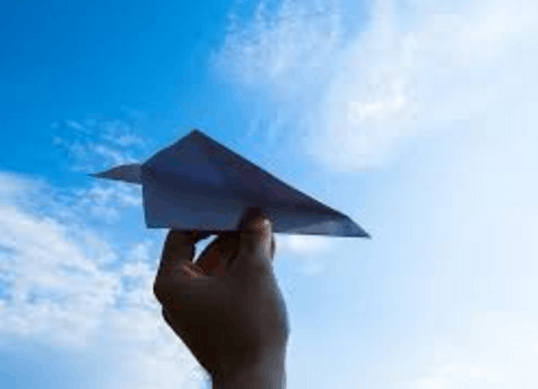 Autonomy – having a sense of free will control over an activity. In other words, feeling that it is their own idea to participate, they are not being forced to participate, and they can stop when they want to. When this criterion is met and the task is within an individual’s realm of interests they are less likely to stop performing the activity and continue willingly with great interest for longer periods of time. Having choices within the task can also contribute to a sense of autonomy (e.g., opportunities for strategizing or progressing according to one’s own decisions). 2. Competence – a desire to control the outcome of a situation and gain mastery. There must be a great match between the individual’s ability and what the task needs them to do, and this needs to update as abilities improve such that they are always slightly challenged but the requirements do not exceed their abilities (the sweet spot that can lead to “flow”; Csikszentmihalyi, 1988). If a task is too easy children will soon lose interest and if it is too complex children will give up. FogStone Isle is a sand box game that allows children to make their own choices about what they want to build, where they will build it, and what they want it to look like, allowing children to exercise their creative freedom and make choices as they are learning and practicing math. Allowing children to make their own choices within the game and strategize according to their decisions can be a very powerful way to increase a sense of autonomy. Besides the fact that many children find video games intrinsically rewarding, Fog Stone Isle allows for customization and personalization to make students feel more connected to the game and find it internally gratifying. Sophisticated algorithms are used to identify and match the player’s ability with in-game challenges that are continuously updated as the player’s performance improves or if they have an “off day”. A great way to ensure that a task is intrinsically rewarding to find an activity that children are already interested in and find inherently satisfying, and build math into it. 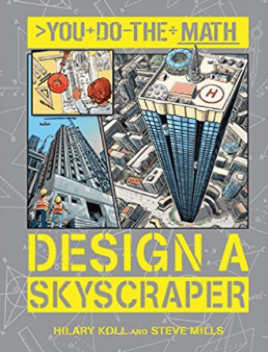 For example, if they like playing with Lego, you can help them sketch out the blueprints for a city, monument, or structure (an airplane, a fire station, pyramids, a castle, Machu Picchu, the Eiffel Tower, etc.) that would be fun to build. Planning the outline ahead of time helps children visualize in 3D the dimensions and number of blocks that would be required for a structure, helping strengthen principles of calculating area, perimeter, geometry, and simultaneously strengthen visuospatial reasoning skills. 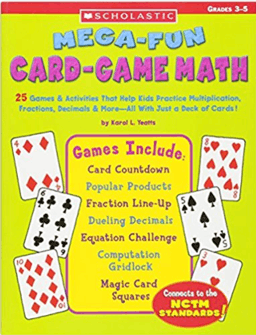 These activities would inherently review mathematical operations of addition, subtraction, multiplication, and division as children calculate ahead of time how many pieces of are required for a given structure. 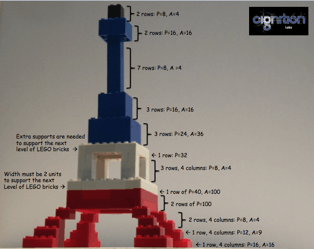 Assuming they don’t have an endless supply of each Lego size, the will also need to use math to figure out how to make the structure work with the pieces they have. 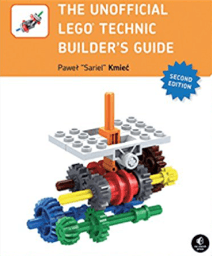 These fun activities are also great for fostering an interest in engineering as a part of STEM. 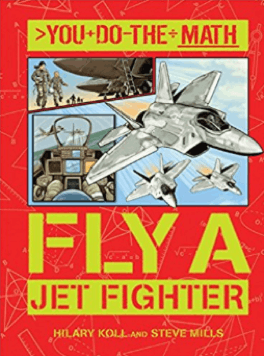 Depending on your child’s interests, the following books (available in most libraries) can help them understand mathematical concepts within a framework they find intrinsically motivating. 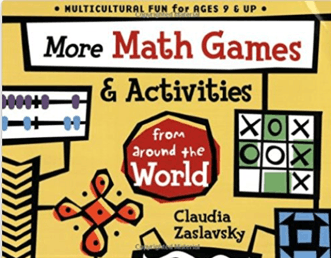 Since your children already love these topics, they are likely to find the books highly engaging (while learning math!). 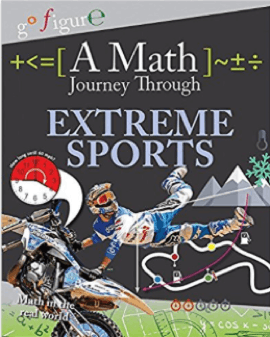 However, the real benefit comes in after the book is finished when they begin to see the math each time they think about these topics in the future. 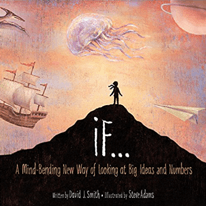 These are lessons that keep on giving as students begin to uncover how math relates to their world. 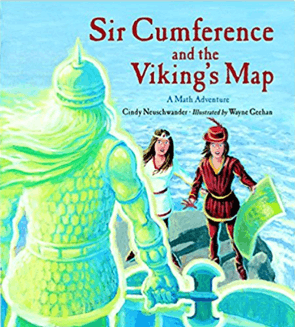 Ratios and proportions, solving equations and algebra, quadrants and coordinates, large numbers and place value, 3D shapes and volume, mental rotations, percentages and value for money, time intervals and mental calculations, linear graphs, fractions, percentages, geometrical translations, Pythagorean theorem, angles and quadrilaterals. 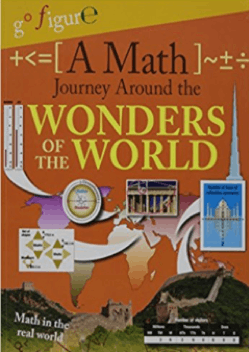 Mental computation, decimals, size ratios and similar triangles, area, angle and scale drawings, percentages, circle circumference, coordinates and negative numbers, right angled triangles and tangents, measurement conversions, mean, median, mode, and average. 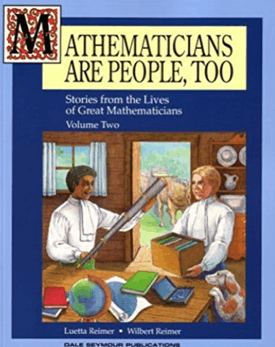 Pyramids, nets, and surface areas, transformations (reflection, rotation, and translation) and symmetry, comparing and rounding numbers, working with large numbers, long multiplication, area, short division, hectares, multiplying by 100, working with negative numbers and temperature, golden ratio, golden triangle, early algebra, link between fractions and percentages, creating tables and plotting data. 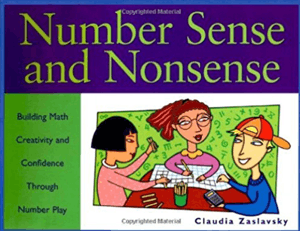 Number sense (factors and prime numbers, place values), working with tables and bar graphs, percentages, mixed operations, fractions, averages, relationships between decimals and fractions, using expressions and equations, trends and patterns, tables and graphs, triangles, and converting imperial and metric units. 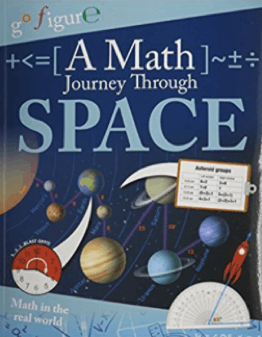 Adding and subtracting, perimeter and area, expressions, symmetry, stem-and-leaf plots, quadrants and coordinates, place value, properties of triangles and polygons, introduction to working with tables, and multiplication properties. 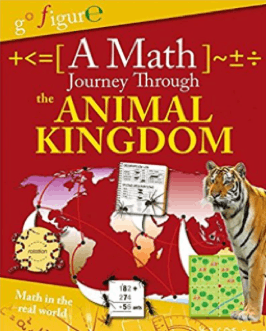 Basics of negative numbers, percentages and percent change, four-quadrant coordinates, calculating averages and graphing, reading gages, linear graphs, proportions as fractions and decimals, area and perimeter, surface area to volume ratio, large numbers and exponents, area and volume of cones, and basic algebra. 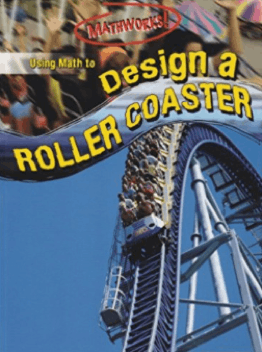 Rounding numbers and estimating, working with time, introduction to angles, properties of addition, decimals, showing inequalities, lines and paths, pie charts, number patterns, multiplying and dividing with decimals, and surfaces of 3D shapes. 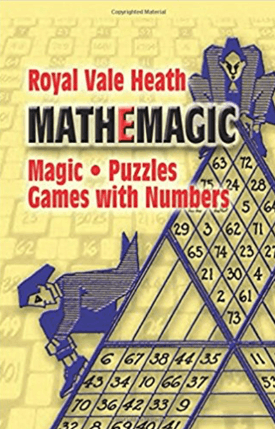 Working with large numbers, tallies and frequency tables, working with money, cubic units and volume, roman numerals, scale drawing, multiplying numbers with zeros, division, positive and negative numbers, pictograms, line plots and line graphs, plane and solid shapes, and working with time. 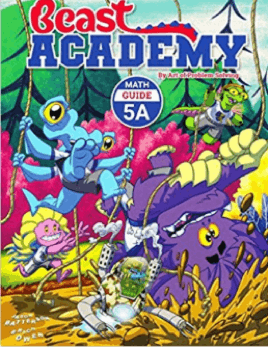 This wonderful book series takes 8 to 11-year-old readers through adventures as they learn about how math relates to interesting careers. 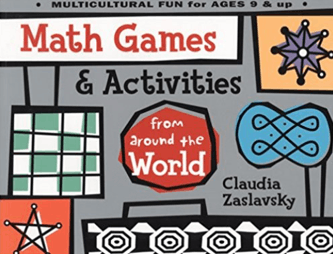 If your child is interested in one of these topics, these books can be great way to practice math over the summer. 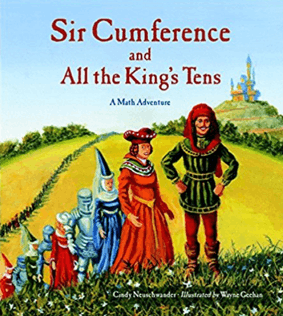 Math problems are integrated within the context of the story as children are encouraged to think through different ways that math relates to each topic. 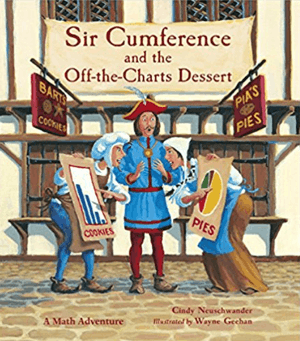 Interpreting tables, working with timelines, 3D shapes and nets, measurements and comparisons, fractions of a whole, comparing weight, adding and subtracting, sequences and time, angles, temperature and negative numbers, reading dials and scales, calculating time intervals, and coordinates and graphs. 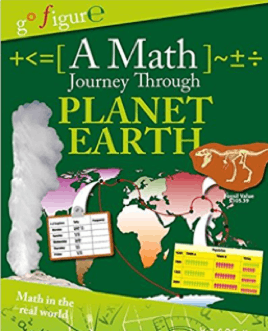 Fractions, decimals, percentages, interpreting tables, maps and coordinates, pie charts, timelines and calculations, area and fractions, working with time, frequency tables, measurements, ratios, and routes and directions. 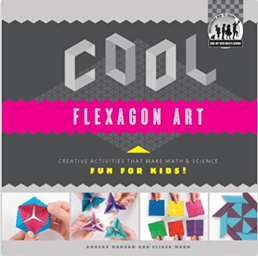 3D shapes, reading and interpreting tables, working with graphs, coordinates, measurements and perimeters, negative numbers, 2D shapes, multiplication and division, mass, fractions and proportions, and decimals. Adding and subtracting, handling data, timeline work, pie charts, interpreting tables, time intervals, multiplying and dividing, reading dials and scales, 2D shapes and triangular numbers, multiplying and angles, graphs, map work and coordinates, and angles and translations. 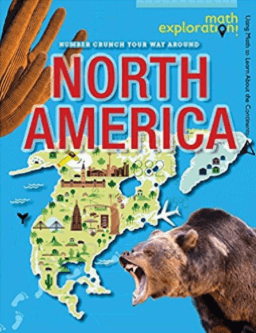 Kids can learn fun facts about North America through this book with a math challenge on each page. 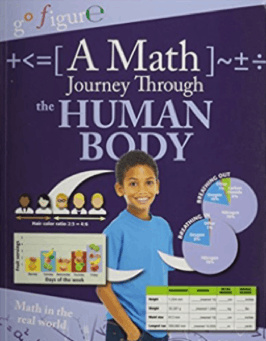 While the recommended reading age is 8-12 years, the math challenges are more suitable for younger children (8 years or younger) and too simple for older children. Addition and subtraction, charting and graphing. 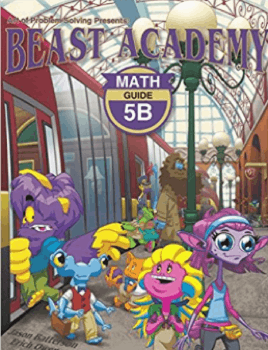 If your child likes comic books, they are also likely to enjoy learning math with Beast Academy. 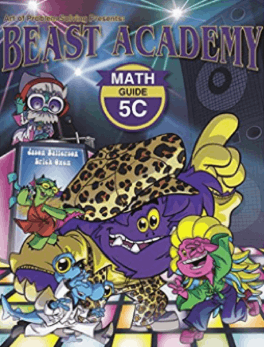 This comic story integrates the fifth-grade curriculum by introducing various math topics through the story as the monsters at Beast Academy experience different adventures. 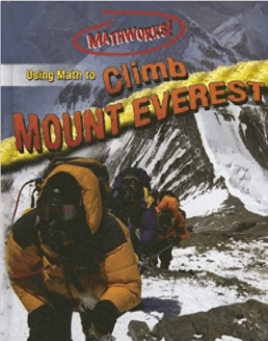 The math guides introduce and explain math concepts while the practice guides act as a workbook where students can practice what they learned. 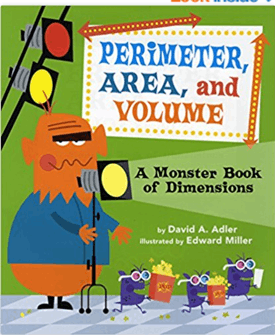 3D Solids (classifying solids, nets, surface area, and volume), Integers (multiplication, long products, division, exponents, and opposites), expressions and equations (notation, like terms, simplifying expressions, and solving multi-step equations). Statistics (median, mean, weighted mean, range, and mode), factors and multiples (factors, greatest common factor, least common multiple, factorials), fractions (addition and subtraction, multiplication, cancelling, and division). 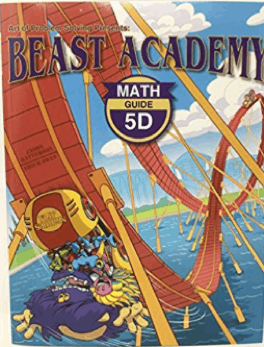 Sequences (patterns, finding terms, arithmetic sequences, and triangular numbers), ratios and Rates (ratios, proportions, speed, rates, and unit conversions), decimals (powers of 10, multiplication, division, and converting between fractions and decimals). Percents (converting among fractions, decimals, and percents, estimation, proportions, and percent change), square roots (estimation, comparison, and the Pythagorean theorem), exponents (multiplying and dividing powers, negative exponents, scientific notation, raising a power to a power, and solving equations). 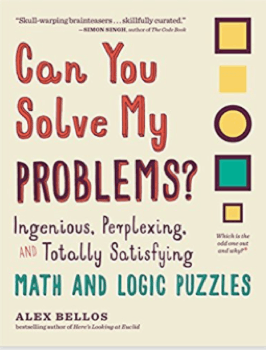 While puzzles and games generally do not introduce new concepts, they are a good way of getting children to think about math and enjoy practicing mental computation over the summer. An added benefit is that they can practice critical thinking and logical problem solving, valuable skills for future academic success. 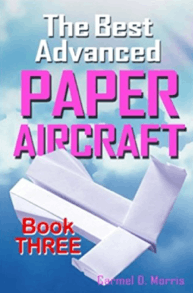 A series of fun but challenging puzzles and logic games for children. Please note that many of the puzzles are difficult to solve. 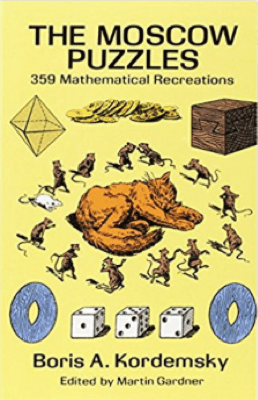 A popular Russian book featuring brain teasers and math puzzles. 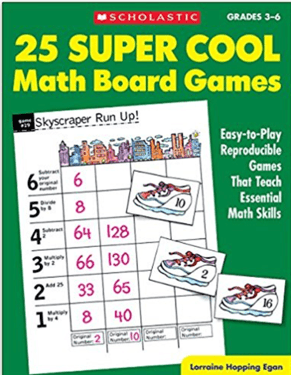 The math is simple, but does provide a fun way to keep children thinking about math over the summer. 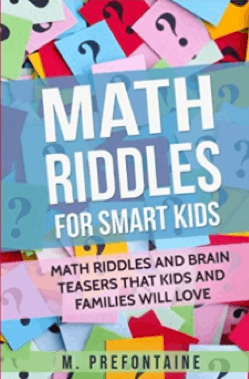 Mathematical riddles and brain teasers. 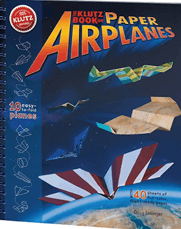 These are similar to word problems, but more fun and engaging. 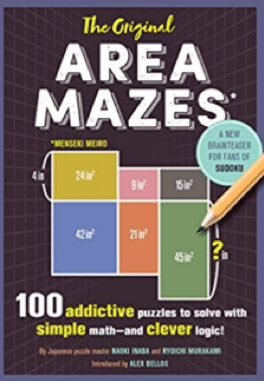 Readers have to figure out how to determine the area with the information they have for each game puzzle. Finding activities that can take students on an emotional rollercoaster can be a great way to capture their attention and interest and tap into the brain’s memory systems. The memory systems of the brain are very tightly interconnected with the emotion systems of the brain. We can practice a boring task over and over again and not remember it, but experience an emotional situation once and recall it vividly for the rest of our lives. This is because the brain wants us to remember information that is emotionally relevant because of the consequences that it can have for us – whether that is something that can make us very happy, excited, scared, nervous, or sad. Emotions can “tag” memories with an importance value. This can be used in teaching by ensuring that the information that needs to be learned is associated with emotional arousal. FogStone Isle is a large island where many things can happen based on decisions made by the player. 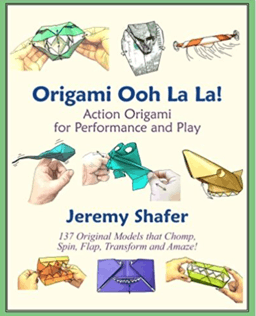 There are elements placed into the game to ensure that players experience emotional arousal during critical moments of learning when new concepts are introduced. This process increases the likelihood that the information learned with be stamped as “high importance” in the brain. 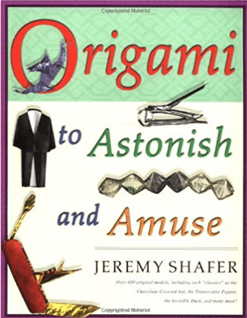 Parts of the game will make players laugh, feel anticipation and excitement, disappointment and loss, a sense of accomplishment, arousal due to uncertainty of outcome, and a sense of connection and belonging to a larger purpose. 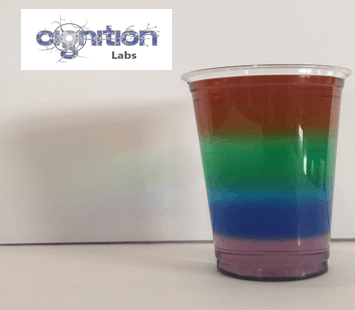 Science experiments that involve a climactic situation are great for inducing anticipation, excitement, followed by feelings of disappointment, surprise, or pride. This is particularly effective with experiments where students make decisions and examine the outcome of the choices they made. The feelings of disappointment when the project didn’t end up exactly how they wanted it to can lead them to make meaningful changes for the next attempt. 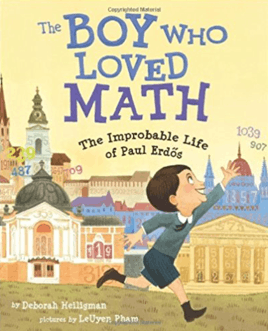 A young boy experiences math anxiety and experiences nigh mares. 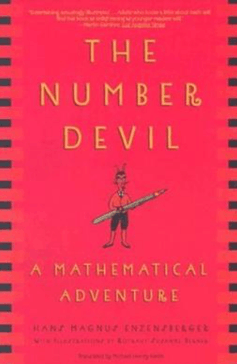 One night he meets the Number Devil who teaches him mathematical principles in a fun and interesting way. The number one, the number zero, negative numbers, exponentiation, prime numbers, square roots, triangular numbers, Fibonacci numbers, permutations, factorials, natural numbers and irrational numbers, infinity, Euclidean geometry, vertices, edges, mathematical proofs, and imaginary numbers. 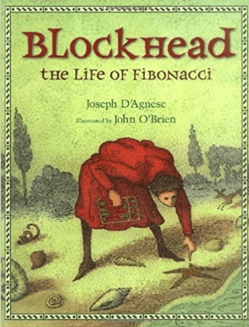 A fun story where the main character uses his mathematical knowledge to outwit other people on his way to success. 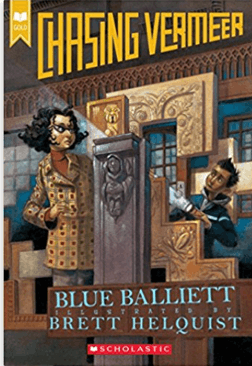 Two sisters embark on a magical journey into an imaginary world where they learn about math, logic, literature, poetry, and history along the way. 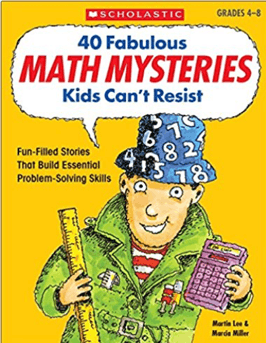 Although children will not need a strong math background to read this book, they will be using their brains to solve the riddles and puzzles. 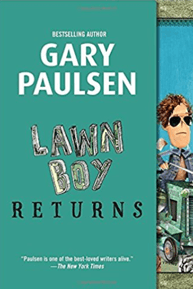 This book uses rich language and is quite funny and engaging. 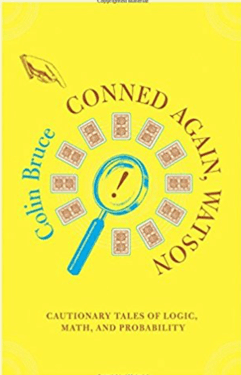 Sherlock Holmes uses mathematical knowledge to solve crimes involving greedy gamblers, reckless businessmen, and ruthless con men who make errors based on common fallacies. Statistics, probability, decision theory, and game theory. 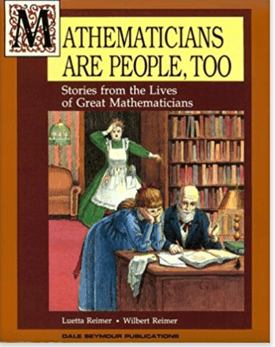 The history of mathematics is discussed in the context of solving a murder mystery using mathematical clues. 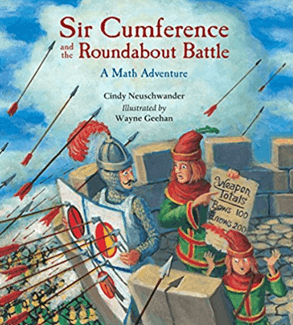 This series of books uses puns and wordplay to introduce math topics in an engaging and fun atmosphere set around a knight and his family and how various math topics guide their daily adventures. Mathematical angels, cubes, pyramids, cylinders, and cones. Perimeter and area of a circle. Pie charts and bar graphs. 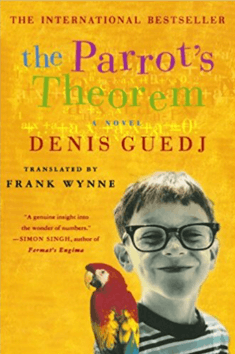 For the next set of books, math is a secondary element of the novel, often used for enhancing character development or enriching the story. 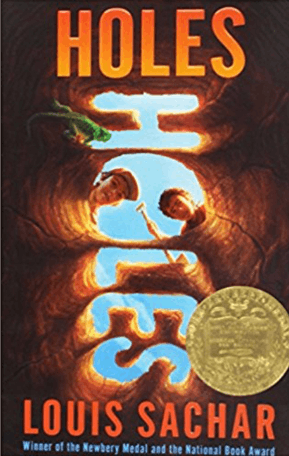 A boy who has been sent to a detention centre realizes that there may be more to their daily task of digging holes as he tries to solve a mystery of what may really be going on behind the scenes. 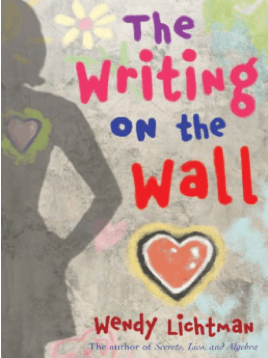 This is a highly engaging and popular book but parents should be aware that it has a somewhat dark theme involving punishments and revenge. 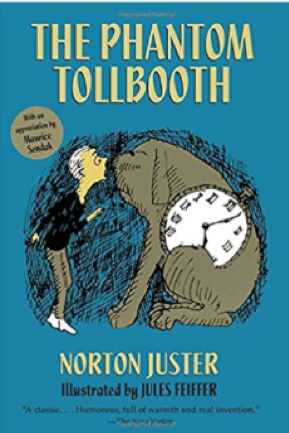 This classic book is reminiscent of Alice in Wonderland and Through the Looking Glass and follows the adventures of a young boy who finds a tollbooth in his bedroom and embarks on a vivid journey, meeting interesting characters one of whom is mathematically inclined. 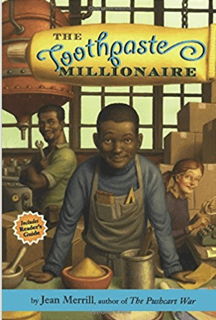 This is a great book for learning about the value of education and problem solving. Ratios, proportion, averages, measurement, estimation, and geometry. 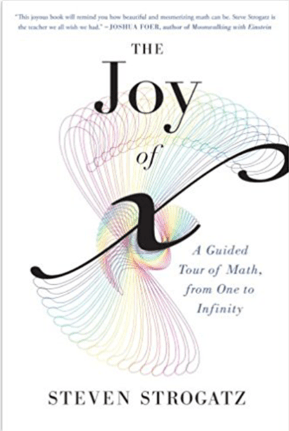 While we hope that math can be intrinsically rewarding, there are some tedious exercises that are not intrinsically rewarding but still need to be practiced. In these cases, one effective strategy may be to gamify them by offering extrinsic rewards for their completion. Research shows that interval schedules can be more effective in increasing output. Knowing that a desirable reward is coming, but not knowing when it will come and what it will be can create a situation with the highest output. This is similar to the way that slot machines work. The reason for this is that the unpredictability of a desirable outcome can lead to dopamine release in the brain. This chemical is released in the brain to motivate behavior towards a goal, and can be significantly increased when uncertainty and anticipation are high. This chemical is particularly important for learning because it’s presence can make a significant contribution to how well information gets stored in the brain. In other words, its abundance during information encoding can significantly facilitate memory consolidation and subsequent recall of that information. FogStone Isle incorporates variable ratio rewards in different ways throughout the game carefully paired with moments of conceptual learning to increase the likelihood that dopamine is abundantly available when new concepts are introduced to facilitate and strengthen information consolidation into long-term memory. Every time 100 problems are completed the student can get a reward. This reward could be 2 tokens or 10 tokens. The same strategy can be implemented towards a recall quiz, such that parents can ask a question about the material that was learned and if there is a correct response the student would receive tokens. Every time a varying number of problems are completed (could be 20, 40, 55, 70, etc. ), 10 tokens are received. Our brains are prediction machines. 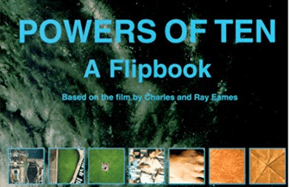 Over our lives, we have formulated schemas of how events will unfold and are constantly updating the schemas based on whether our predictions of the environment are correct or incorrect. If these prediction systems are associated with something that we find rewarding, the dopamine systems of the brain will be engaged to ensure that the new information is “stamped in” and consolidated into long-term memory. A second powerful phenomenon for motivating behavior is receiving “updates”. This refers to things that an individual cares about that provide new information in the form of notifications (e.g., emails, Facebook, Twitter, etc.). Individuals check these frequently because they don’t know when a new item will present itself and each item could be interesting and rewarding. A powerful way of engaging the brain’s dopamine systems is by anticipating a positive or negative outcome with high stakes. Activities that incorporate outcomes with gains or losses of an unpredictable amount can be very powerful in terms of motivating further behavior but also increasing dopamine release, which can be important for consolidating the information that was learned into long term memory. This is particularly relevant when outcomes are at least partly dependent on choices made by the individual and involve some of form of risk for loss. FogStone Isle provide a number of opportunities for students to take risks that can have unpredictable outcomes to stir a sense of anticipation based on choices made by the player that can lead to relatively unpredictable positive or negative outcomes. 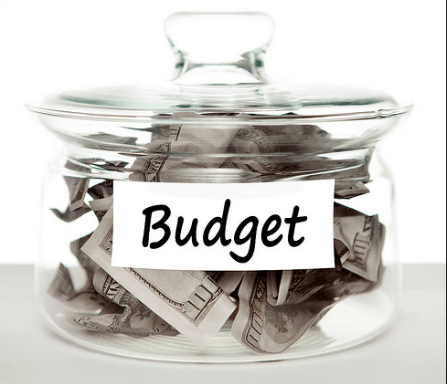 A fun math activity that can engage students all summer and introduce them to the world of finances can be to have children “invest” money in mock stocks. They can start by borrowing certain amount of money and be given an opportunity to “invest” some or all of it in mock stocks that they are familiar with (e.g., Disney, CocaCola, McDonalds, etc.). They can then follow the market data daily to see how well their stocks are doing. Each day they can calculate how much their investment has fluctuated and once they have calculated the gain or loss, either get that amount from their parents or pay their parents for the loss. Students who are eager to maximize their investments may wish to examine trends and do additional research to switch to a different stock. This can help them make more informed decisions about when to buy or sell and set up a fun introduction into topics in finance. If students have a lot of gains they may wish to purchase additional stocks. 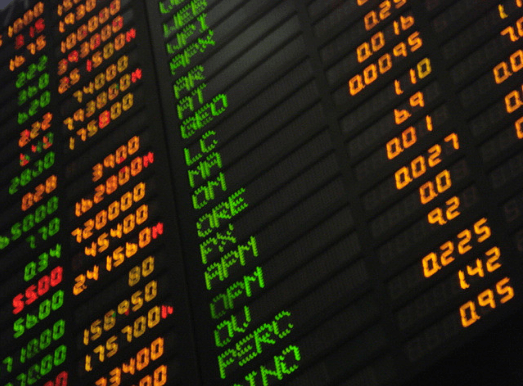 The great part of this task is that students may be eager to wake up in the morning and check how their stocks are doing since this is something that is updated on a regular basis. 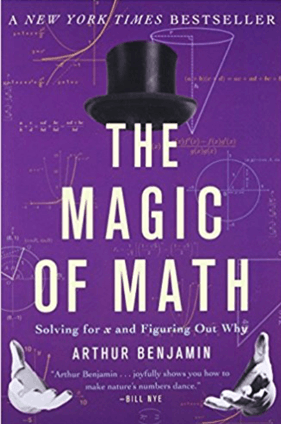 The following novels are a great introduction to the relationships between math and finances, economics, and stocks. Two students decipher a series of clues to solve the crime of who stole the invaluable Vermeer painting. Patterns, codes, symmetry, geometric shapes, Roman numerals, pentominoes, spatial visualization, and problem solving. 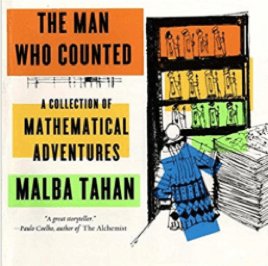 A brief (1-2 page) story outlines a mystery that the reader must solve using the information provided by applying math. 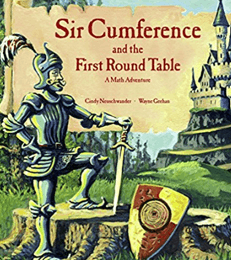 This fun and engaging book helps increase confidence with math and improve math problem solving skills in a unique and engaging way. 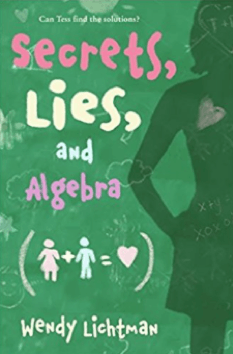 The main character is learning about algebra in school and relates what she is learning to her real life. 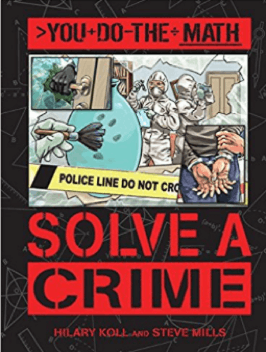 She uses math (e.g., Venn diagrams, parallel lines, the additive property of equality) to solve a possible murder. 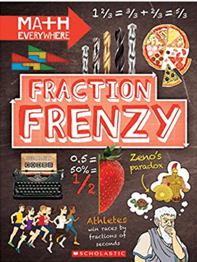 Math vocabulary explained through a fun and engaging mystery novel that incorporates realistic characters and typical middle school social situations. Algebra, variables, factors, and symbols. 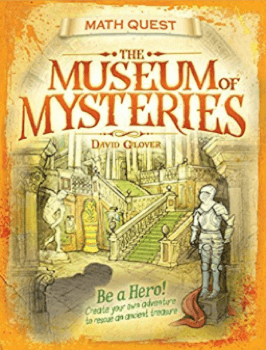 This book takes readers on a mysterious journey where they must solve problems along the way. Two options are presented as they find the solution and they turn to a different page depending on which solution they chose. If they chose incorrectly, they are told where they went wrong and redirected to reattempt the problem. Decimals, even and odd numbers, factors, fractions, multiples, prime numbers, Roman numerals, and percentages. Reading is a great at home activity for kids to escape and have fun while learning. Why not apply the same logic to math? 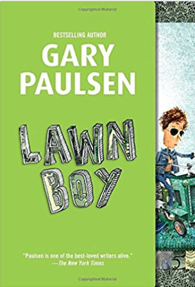 Reading is fun because there is a beginning, a developing story that involves a build-up, uncertainty, and anticipation, and an end. This keeps children on their toes and coming back for more. Reading would be less exciting if we took the story out of books and turned them into repetitive drills that were cognitively taxing. 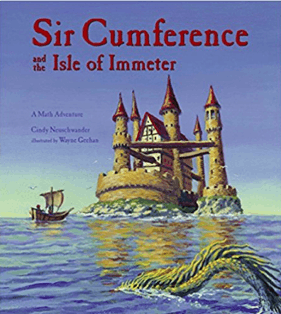 But if we can make math more like a story, we may be on to something. Developing a project with a foreseeable end-goal can allow for motivation to build up each day and have the children want to come back to the activity on a regular basis. 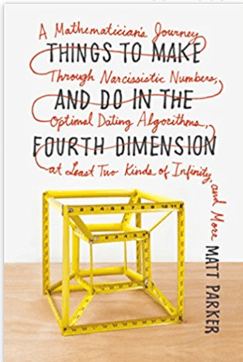 This puts math in the same category as an interesting story with a beginning, several potential outcomes, and a hopefully satisfying ending. Project based learning is an excellent way of encoding and retaining information. Creating an outline of what is to come and the larger goals of the project can help establish a framework within which information will be encoded. Each day that the project takes place some new information is added while previous information is recalled and reviewed. This process of regular recall provides an invaluable opportunity to strengthen neural connections that represent a phenomenon and integrate it with newly acquired information each day. 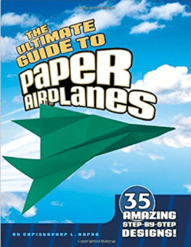 This is considered to be one of the best ways of learning and retaining information. FogStone Isle allows children to build projects that they can come back to on a daily basis. For example, students first think about a design that they would like to implement taking into consideration a number of factors. This strategizing and global thinking is important for developing better planning skills and integrating knowledge from different sources. Players then work towards accomplishing their larger goal by working on a number of subgoals each day. This task gets them more involved and connected to the bigger picture while giving them an opportunity to review the material on a daily basis, and slowly expand their conceptual knowledge framework as they learn new relevant items each day and practice old material. 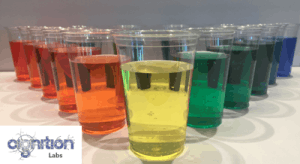 Science experiments can be a great way to practice math skills everyday as a part of a larger project. A fun activity could be to plant herbs, vegetables, or legumes under different conditions (e.g., no water, no sunlight, no soil, “soda” instead of water, adding salt to the soil, overwatering, etc.). Once seeds are planted children can use a ruler to measure growth at regular intervals. Numerical values can then be plotted in a chart and converted to different types of graphs varying from simple to more complex depending on age and ability levels (e.g., bar graphs, line graphs, etc.) to demonstrate the rate of growth of plants in each condition. 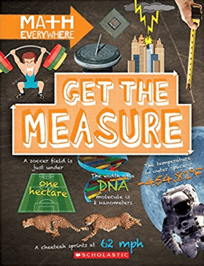 These tasks will reinforce graphing skills and allow children to see how math can be used to visualize data relevant to their environment. 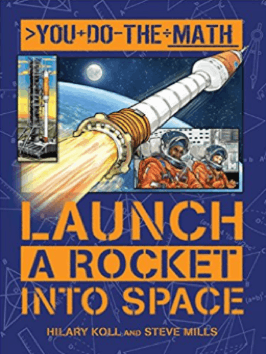 These fun activities can help ignite and nourish scientific thinking in addition to reinforcing math skills. 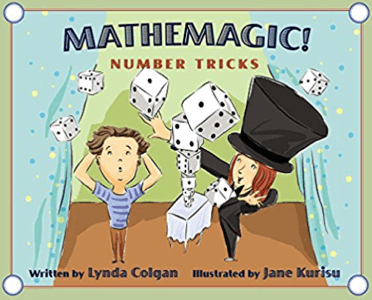 A cute book filled with “magic” tricks that children can learn which involve interesting properties of numbers. 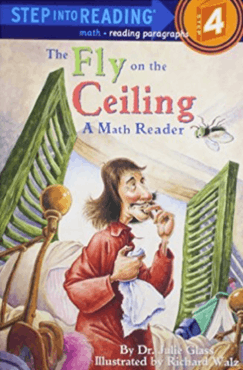 This book will get children to think about math and numbers while performing a seemingly unrelated task. 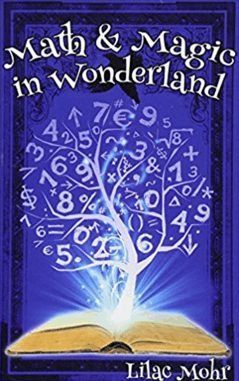 This book is filled with fun magic tricks to get children thinking about numbers in a different way. 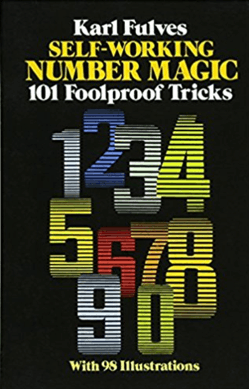 An older number magic book that includes magic tricks, interesting properties of numbers, and tips and tricks for dealing with numbers. 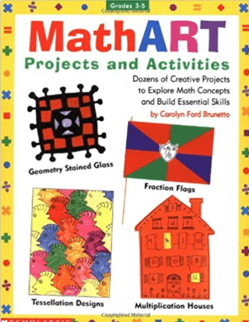 For children who are not big fan of the subject, math can be hidden in a more elaborate project. A second major benefit of this approach is that students can see the ways in which math can be incorporated into the real world to solve real problems. Math anxiety can over-activate the brain’s emotion and arousal regions such that children find it difficult to focus their attention and apply cognitive skills to solve math problems. Research shows that when the same problems are presented under the guise of another subject or topic, individuals who have math anxiety perform just as well as those who don’t, suggesting that it was their emotion/arousal systems that interfered with the process but not their abilities. 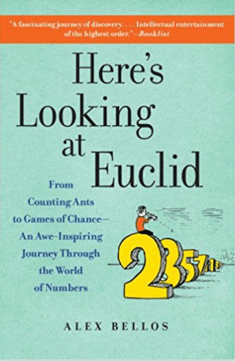 The game allows players to proceed without overexerting themselves with mathematical calculations but the more math they choose to engage in the better the outcome will be for them. 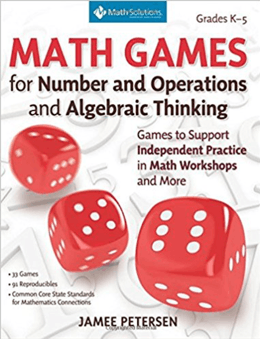 The game incorporates numerous visual manipulatives to translate numerical information into visual and spatial representations to help students understand concepts in different ways and engage different learning styles. 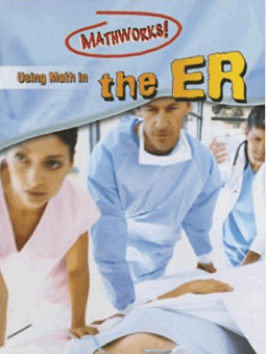 The game can detect when a student is struggling with a problem and an in-game tutor appears at that point to take students through a step-by-step interactive lesson about the concept that is not clear to the student. 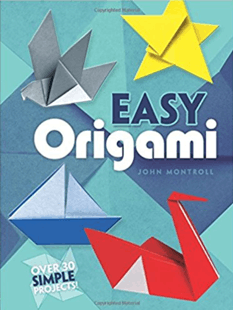 The game is designed to understand and adapt to the student’s abilities and can detect and identify where their strengths and weaknesses are and specifically which conceptual problems they are having difficulty understanding. 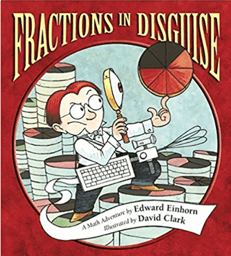 The best way to disguise math is to introduce it gently in an activity that the child enjoys doing. This could involve cooking or baking, arts and crafts, science experiments, games, etc. Please see below for examples. 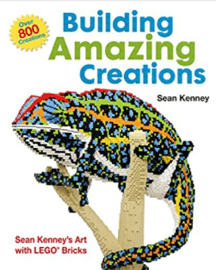 By changing and varying the scale on which topics that would otherwise be too large to grasp can be understood, the author changes the way that children will see their world in terms of numbers. This interesting approach places our surroundings in perspective by soaring through the dimensions of the universe and end up with a single proton. 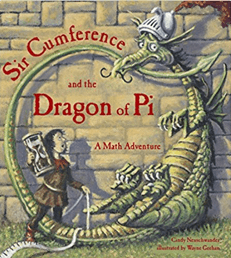 Children can learn about famous mathematicians in story format. 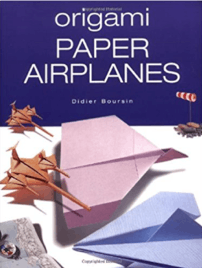 Math involves manipulations of abstract concepts. Individuals with advanced understanding of a topic can work well with abstract ideas, but students who are just beginning to understand a topic will find this process more challenging. The more that we can translate abstract concepts into concrete elements the better that students can make sense of them. Using visual tools that translate abstract concepts into visual and spatial elements can be very helpful for establishing a foundation for what a concept represents. When information about a concept is stored through multiple sources (e.g., visual, spatial, numerical, auditory, etc. ), multiple pathways converge in a network to represent a topic in the brain. This process is extremely effective for enhancing the storage life of that concept and increases the ease with which it can be recalled since activation of any of the pathways can potentially lead to retrieval of the concept. Topics stored this way in the brain have a strong foundation and it will be easier to build on them by adding more information into the network. For this reason, using visuospatial manipulatives can be a great way to apply concrete examples to demonstrate an abstract concept and create additional pathways to represent the same information in the brain. 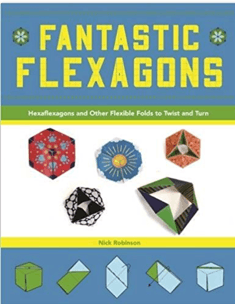 FogStone Isle simplifies complex and abstract math concepts by demonstrating their environmental applications and through a variety of visual and spatial manipulatives. Students have a chance to interact and “play around” with the manipulatives in the game to examine how the outcomes change accordingly. This is a part of strategy development in the game as they learn to optimize the outcomes. All numerical information is carefully paired with visuospatial representations to ensure that multiple brain systems are working simultaneously to process the same conceptual information as it is being learned and when it is practiced. For each activity parents should consider whether their children’s cognitive capacity is being overloaded, in which case they are likely to “burn out” more quickly and not want to continue with the activity. Cognitive capacity refers to working memory, or the amount of information they can hold and manipulate in their mind. Our brain have a limited number of slots available for holding new information in mind as it is being manipulated and processed for performing a task. There is often a large difference in children’s working memory abilities even if they are the same age. This is important to consider as children are learning new skills. If their working memory is being overloaded, it is likely that they will not be able to process incoming information, especially if it is abstract and needs mental manipulations. Providing supports that can help students free up their working memory loads (e.g., by writing information down rather than holding it in their head, using manipulatives to keep track of information while it is being manipulated, etc.) can be very useful when a new concept needs to be learned. FogStone Isle provides a number of in-game supports to act as a mental sketchpad and help students keep track of the information they need to understand a concept or solve a problem. The availability of this mental sketchpad is linked with the students abilities such that if a student is learning a concept they are not yet familiar with, the sketchpad will become available to allow them to focus their mental resources on learning the conceptual information rather than having to keep extraneous information “online”. Once a concept is mastered the sketchpad is removed so that students can optimize their efficiency with calculating the mental tasks and simultaneously exercise their working memory capacity. Detailed note-taking or the use of manipulatives can be helpful in freeing up working memory slots when performing mental computation at home, particularly if a new concept is being introduced. 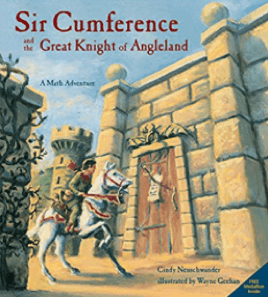 Middle school and high school mathematical topics are presented in an engaging way to help readers understand math from a different perspective. 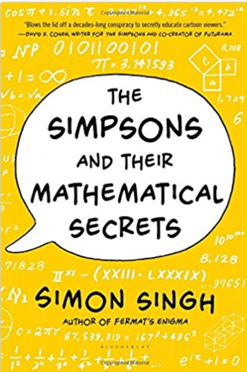 Through a series of examples from our everyday surroundings and other interesting topics (e.g., pop culture, medicine, law, philosophy, art, and business, the author takes the reader through a number of relevant math concepts to help put math in easy to understand terms. 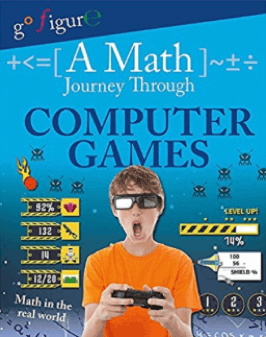 While this book explains mathematical concepts in a fun and engaging manner, many of the concepts are advanced and more appropriate for high school students. 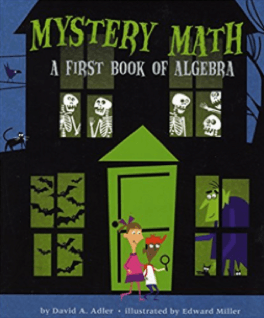 This book uses a Halloween theme to introduce algebraic concepts and equations in an engaging and memorable way as spooky creatures are added, subtracted, multiplied, and divided. The math is worked out on each page allowing students to see the links between the story’s images and the corresponding numbers. 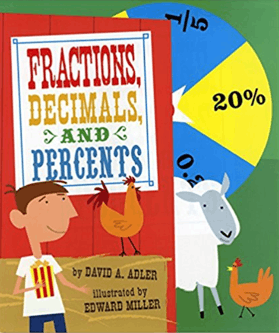 A simple introduction to fractions and how they related to decimals and percents. Csikszentmihalyi, M. (1988) The flow experience and its significance for human psychology. In: Csikszentmihalyi, M., Csikszentmihalyi, I., editors. Optimal Experience: Psychological Studies of Flow in Consciousness. Cambridge: Cambridge University Press. Deci, E. L. and Ryan, M. (2000) The “what” and “why” of goal pursuits: Human needs and the self-determination of behavior. Psychological Inquiry. Vol 11 (4) 227-268.